The Office of the Registrar is located on the first floor of Holland Hall. Call the Registrar's Office at 803-321-5124 or email us. Any change in a student's address or phone number, whether on or off-campus, must be reported to the Office of the Registrar within 72 hours. All students should also notify the Registrar of any change of address or phone number of their parents or guardians. Any change in marital status of any student must be reported to the Office of the Registrar and the Dean of Students immediately. Click here to link to the list of class schedules. Students at Newberry College who will have completed 56 semester hours by fall semester are required to declare their major no later than the preceding May 1st. Students declare their major by securing the approval of the major department chairperson and completing and filing copies of the Degree Audit with the Office of the Registrar. The department chairperson will assign the student an advisor. Students may drop a course by obtaining a drop form from the Office of the Registrar, securing their faculty advisor's and instructor's signatures, and returning the form to the Office of the Registrar. Failure to follow this procedure may result in a grade of FA. A course may be dropped no later than one week after mid-term grades are reported. Students are also cautioned that dropping courses may affect their financial aid. If you have any questions regarding these forms, please email Records@Newberry.edu or call the Office of the Registrar at 803.321.5124. Students who receive a grade of "D" ,"D+", "F", or "FA" on a course at Newberry may request to repeat the course and have their GPA reflect the higher grade, for the first repeat only. The request for an adjusted GPA must be made during the registration period for the course that is to be repeated. The course must be repeated at Newberry College to receive the benefit of the adjusted grade policy.  Newberry College is an accredited institution under provisions of all the public laws for providing educational benefits for qualified veterans and dependents of veterans. More information is available from the Office of the Registrar. Students who withdraw from Newberry College before the end of a semester are required to complete a Withdrawal Form available from the Office of the Registrar. The form lists procedures to follow that will help them plan and facilitate readmission to Newberry College or transfer to another college. Failure to complete the appropriate forms when withdrawing from Newberry College will result in a grade of "FA" for each enrolled course. It may also jeopardize readmission to Newberry College and transfer eligibility.